The 3-D Stooges: Steve-O & Knoxville. 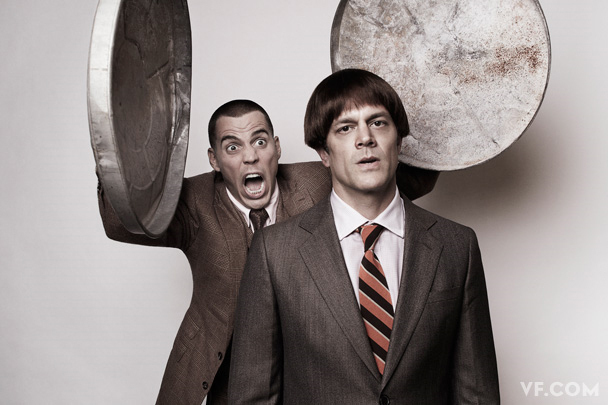 Steve-O & Johnny Knoxville in 'The 3-D Stooges' photoshoot for Vanity Fair, August 2010. Wallpaper and background images in the Johnny Knoxville club tagged: jackass jackass 3d the 3d stooges vanity fair gavin bond photoshoot august 2010 johnny knoxville steve-o. This Johnny Knoxville photo contains 신사복 and 비즈니스 정장. There might also be 옷 한 벌, 한 벌, 옷, 양복, and 정장.